Training Supervisor Kelly Shaver has developed a new Mentoring Program for our Call Specialists here at Director On Call. It has seen success and is another way we continue to enhance the level of service we provide our clients. The Mentoring Program is a way of connecting fully trained Call Specialists and Trainee’s new to our Director On Call team. We carefully match our mentor and mentee in the hopes of achieving the best fit. In order to qualify to be a Mentor our Call Specialists must model our Core Values and be fully trained in each of our client files. Through training, webinars and group meetings we are able to evaluate the program and enhance our level of service. Our program serves many purposes. 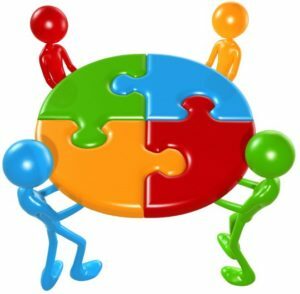 Originally it was designed to support newer team members with the intent to foster a greater belonging to our team. In doing this we are also providing opportunities for more experienced team members to develop skills and offer opportunities for growth. The program is also giving new trainees a secondary avenue to obtain assistance in addition to the trainer. Everyone benefits from the Mentor program; the new team member, the mentors, our clients and the company as a whole. What do you hope to achieve with this Program? Our hope is to achieve open lines of communication between all of our Call Specialists. We’re all here to help, but the Mentor Program allows Trainees to have the opportunity to spend one-on-one time with a fully trained Call Specialist. With a Mentor, they have someone they’ve created a rapport with that they can go to, set a time and go over their questions or challenges they may be facing. The Mentors have taken real pride in the Program. They feel that they’re doing more than just working. They’re helping create a really great Call Specialist and member of the Director On Call Team. The Mentors are team members that mirror our Core Values and are role models. As we all know starting at new place of employment can present challenges. The Mentoring program gives trainees support and helps them integrate into our team.